When the Castelli Gabba was first created it was quickly recognised by cycling professionals and amateurs alike as a revolutionary approach to wet weather protection. Made from Gore Windstopper X-Lite Plus fabric the Gabba provides warmth and protection from the elements without any of the bulk associated with traditional rain jackets. Great in the dry too, the Gabba feels like a second skin, enclosing you from the colder air temperatures and any potential wind chill. It’s so comfortable that once you own one you’ll find yourself choosing to wear it more and more in mixed conditions too. 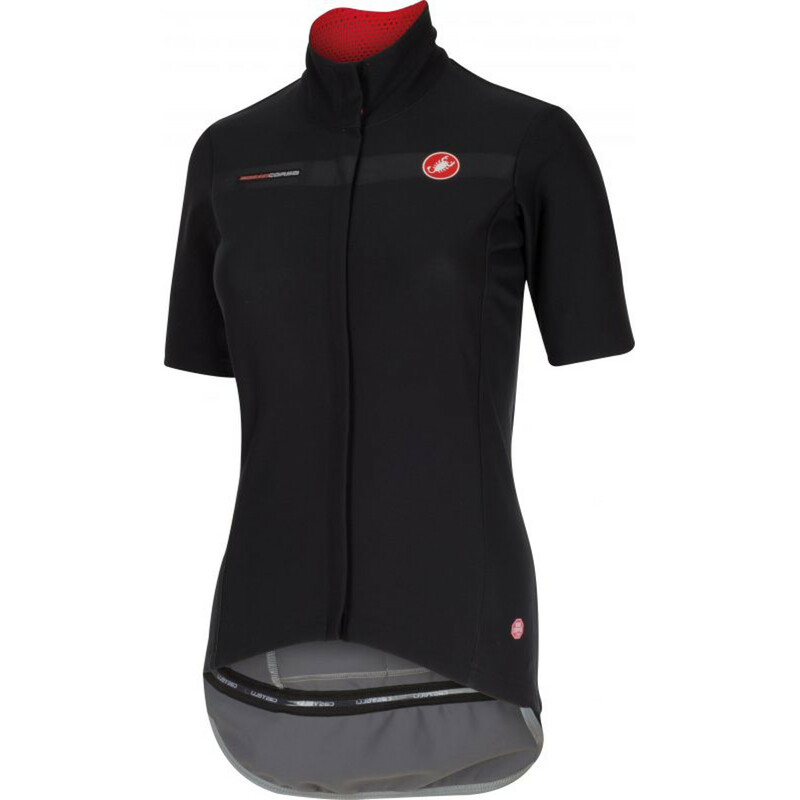 The Women’s Gabba is identical to the men’s version except for the fit which has been mapped to fit snuggly to female dimensions providing extra levels of warmth and support not found in other cycling jackets. The iconic Gabba has been proven in every single rainy pro race over the past five years and despite every other company trying to copy it, there’s a reason why the pros are still choosing to wear the Castelli Gabba. These Gabba jackets are great; they look aero and flattering, have ample pocket space, and are warm/water-resistant. This plus arm warmers is versatile enough for ~45-60 degrees F with some rain/clouds/descents.